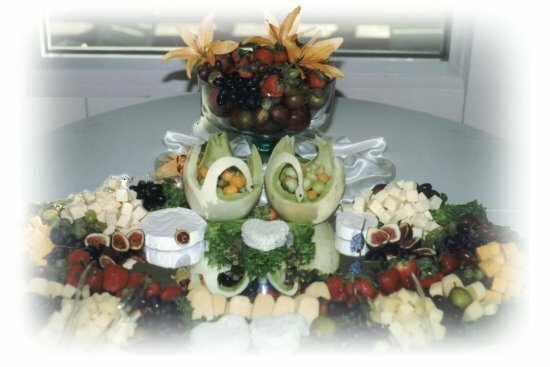 Catering; Receptions; Wedding Catering; Parties; Your event is our specialty! Welcome to our web site! We cater Mardi Gras themed parties with cajun and creole food to tropical themed buffets with island-inspired cuisine. Vegetarian menus and organic options are available. Our mission is to provide all of our clients with the best-tasting, high quality-prepared foods at a reasonable price. We offer wonderful food presentations along with professional, friendly, and efficient service. Please browse through our site and feel free to contact us for more information. Delivery or full service at your request. Bartender service is available, if needed, for an additional fee. We invite you to view our menus, our services, and if your planning a wedding or special event to fill out our request for more information form and you will be on your way to planning great food, great fun with great prices. Copyright � 2004- ForAnyOccasionCatering.com All rights reserved.